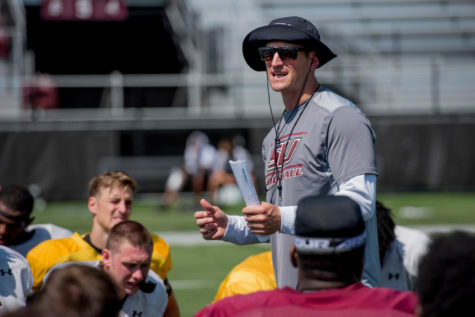 Even though SIU football coach Nick Hill said he focused more on high school recruiting than collegiate transfers this offseason, the Salukis added three transfers to the upcoming roster. 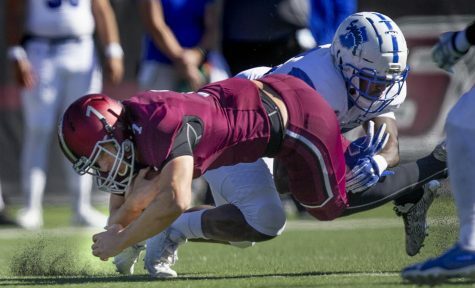 Fifth-year graduate senior Josh Straughan will join a quarterback battle to replace Mark Iannotti while juniors Craig James and Kyron Watson will join the SIU defense, which finished ninth in the Missouri Valley Football Conference in total defense last season. 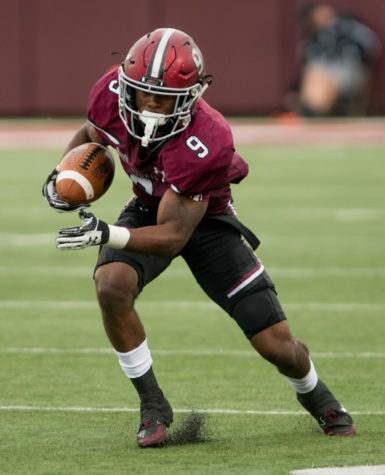 Straughan transferred from Division II Stillman College and will have a year of eligibility left at SIU. 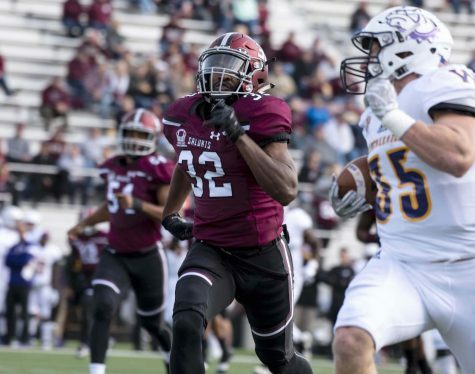 He sent his tapes to SIU after de-committing from Austin Peay State and coach Hill called him Dec. 25 — Straughan said it was the best Christmas gift he could get. Straughan played in 24 games at Stillman, throwing for 5,470 yards and 53 touchdowns and earning All-Southern Intercollegiate Athletic Conference in 2014. He said he looks forward to the quarterback battle with sophomore Sam Straub and redshirt freshman Tanner Hearn. 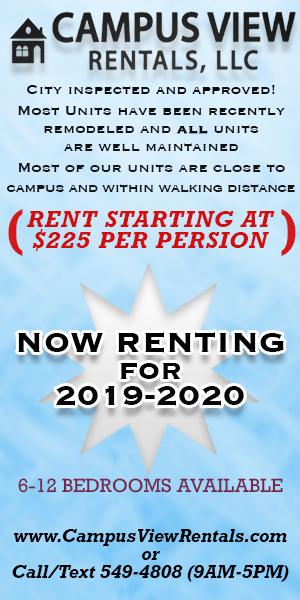 Straughan graduated from Stillman in December with a 3.98 GPA in health sciences and said he had to leave because the school didn’t have a graduate program for sports management. Hill said the best quarterback will play next season. Straughan was picked as a preseason Division II All-American last year, but an injury caused him to miss the entire season. 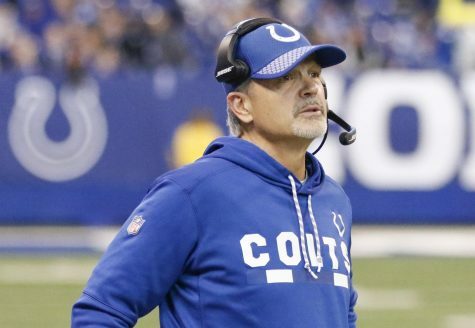 Hill said the core of the offensive scheme will likely stay the same, but noted the coaches will have to work around losing Iannotti, who would scramble out of the pocket. Iannotti finished with a team-leading 716 yards on the ground and nine touchdowns. 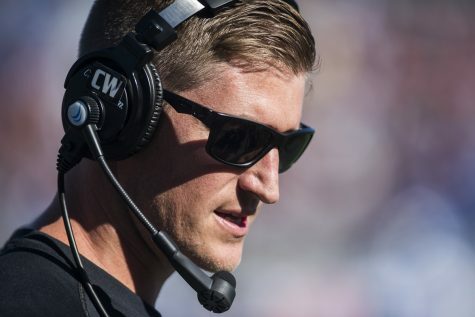 Straughan, who said he is primarily a pocket passer, said the biggest change from Stillman to SIU will be the level of competition. 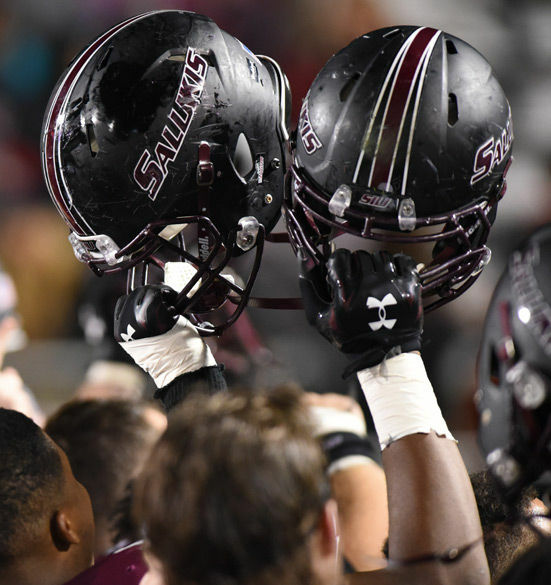 James and Watson will join the Salukis on the other side of the ball this season. James, a cornerback, served as the Golden Gophers’ primary punt returner for two seasons. Last season was cut short after he broke the fibula in his right leg Oct. 3 during a 27-0 loss to Northwestern. 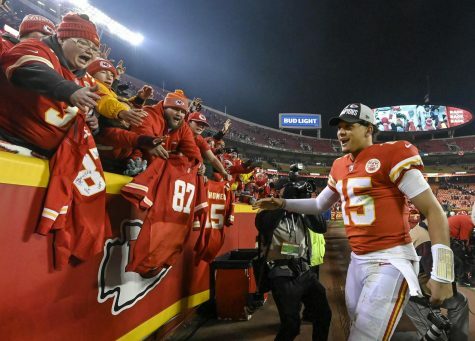 The Edwardsville native said he was also healing a soft tissue injury related to the broken fibula, which hindered him from running full speed and cutting. After resting and rehabilitating, he said he feels 100 percent healthy. James averaged 8.7 yards a return, had eight tackles and three pass breakups as a true freshman. He played in five games, returning 12 punts last season before the injury. 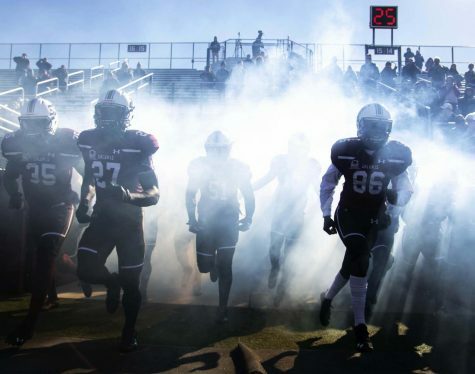 SIU relied on sophomore wide receiver Matt DeSomer and senior wide receiver Billy Reed for punt returns last season. The duo fielded eight and five returns, respectively. 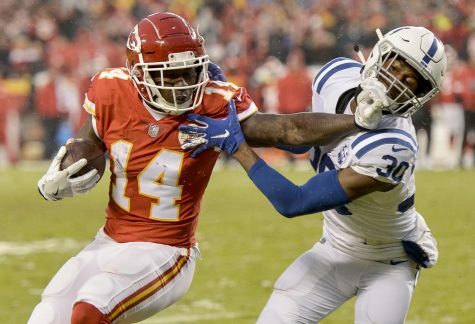 Reed averaged 9.6 yards per return and his longest was 18 yards. James will be the ninth cornerback on the roster. Former Saluki coach Jerry Kill, who coached James at Minnesota, said he will be a difference maker for SIU. Rice was the defensive quality control assistant at Minnesota during James’ freshman year. 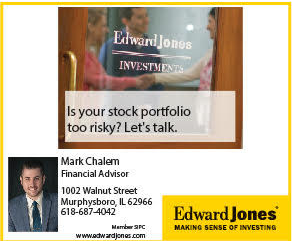 James, who attended Edwardsville High School, said he played with and against Saluki sophomore wide receiver Jimmy Jones through little league, middle school and high school. He is also close friends with SIU men’s basketball redshirt freshman guard Armon Fletcher, who he met after moving to Edwardsville. James played against fellow transfer Watson, who attended East St. Louis High School. Watson played with SIU junior inside linebacker Markese Jackson at East St. Louis from 2010 to 2012. Watson, who transferred to SIU from Kansas, said Carbondale and SIU were better than he expected when he visited. In two seasons at Kansas, Watson recorded 10 tackles in 15 games. His best game was last season against Oklahoma, which was ranked No. 14 in the AP Top-25 poll at the time. Watson recorded three tackles and a fumble recovery in a 62-7 loss to the Sooners, who finished the season ranked No. 5. 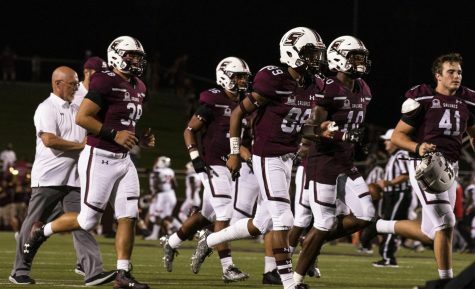 Watson will be the 14th linebacker on the Saluki roster for next season. Last season, inside linebackers Chase Allen and Jackson finished first and third on the team in total tackles, combining for 22 percent of the team’s takedowns. Watson said the energy he and James bring will mesh well with the team.